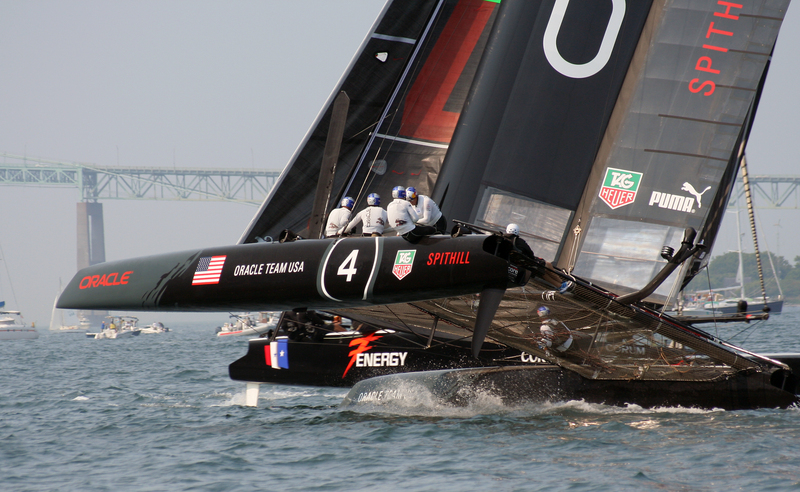 From The Americas Cup World Series; Newport, for adrenaline junkies! 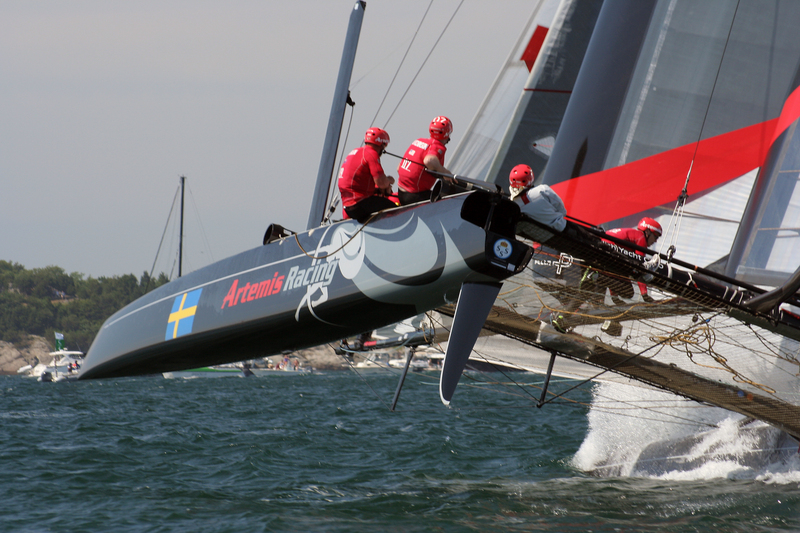 The rigid wing sail here is longer than a 747 wing with a 120 variable positions. 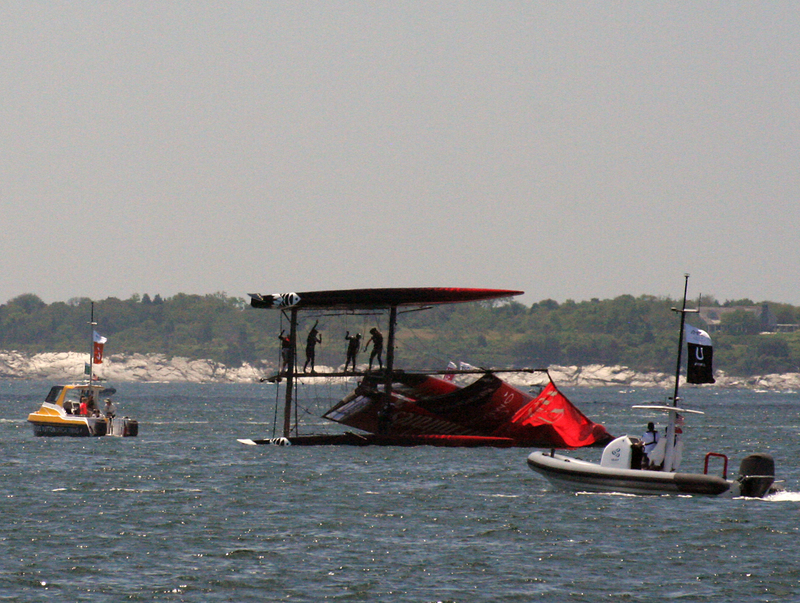 There is a genicker sail as well. 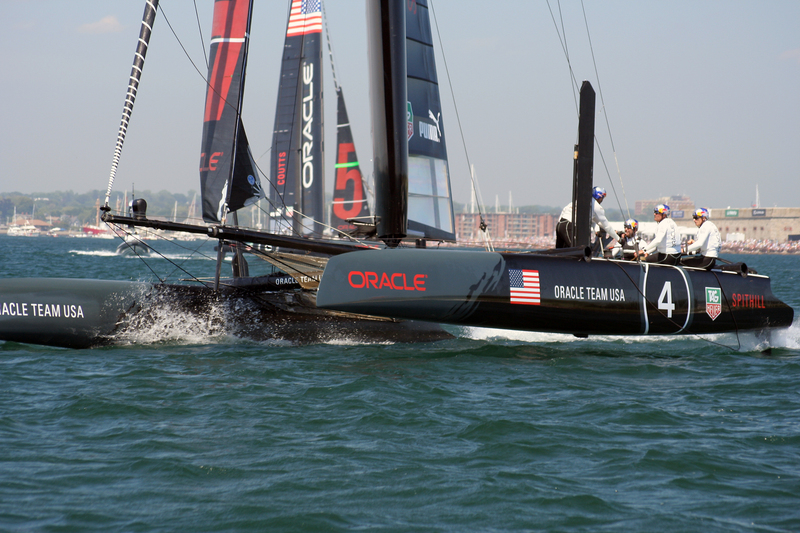 The combination of the two allows these 46′ long cats to go at least twice as fast as the prevailing. 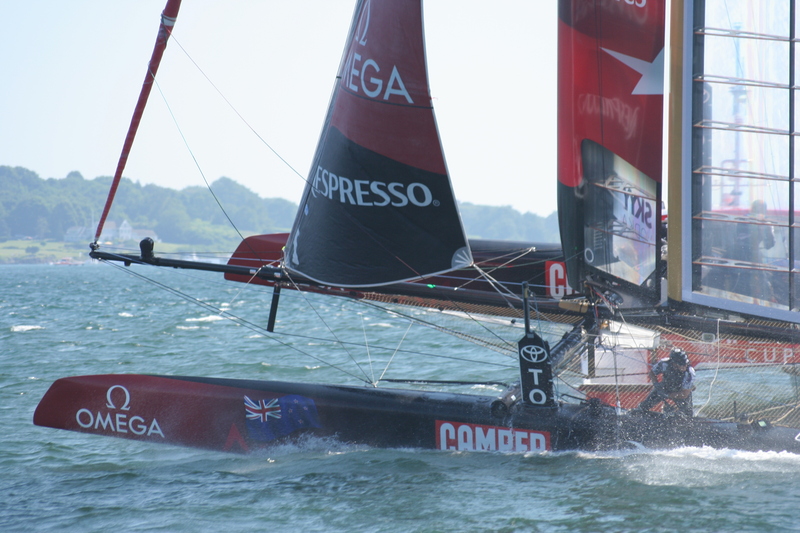 Team New Zealand pushed the envelope a bit too hard launching the gennie before fully rounding the yellow mark boat. Painful to watch, but they were back up and running after the shore crew worked through the night to repair the damage.